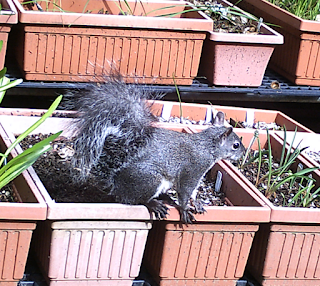 I bought a wildlife camera to identify the creature that was helping his or her self to my seedlings. 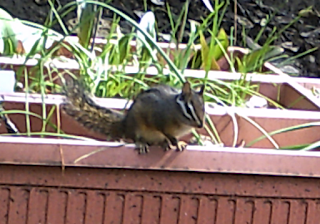 Turns out it is a Merriam's Chipmunk, Tamias merriami. Now that I know the identity of the masked seedling bandit, I still need to figure out how to convince the critter to gnaw on other esculents. Just as I was ruminating on what to do (I am going to try replaying a chipmunk warning call to him), I find that he has a sidekick! This larger creature is a Western Grey Squirrel, Sciurus griseus. 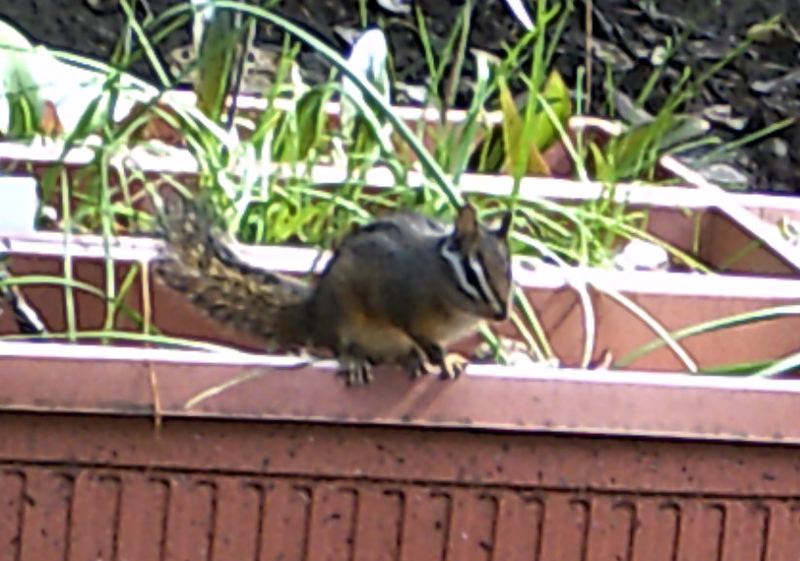 I don't have any photos of this one up to mischief (I have the Chipmunk actually eating the plants), though it is an arboreal species (lives in trees). 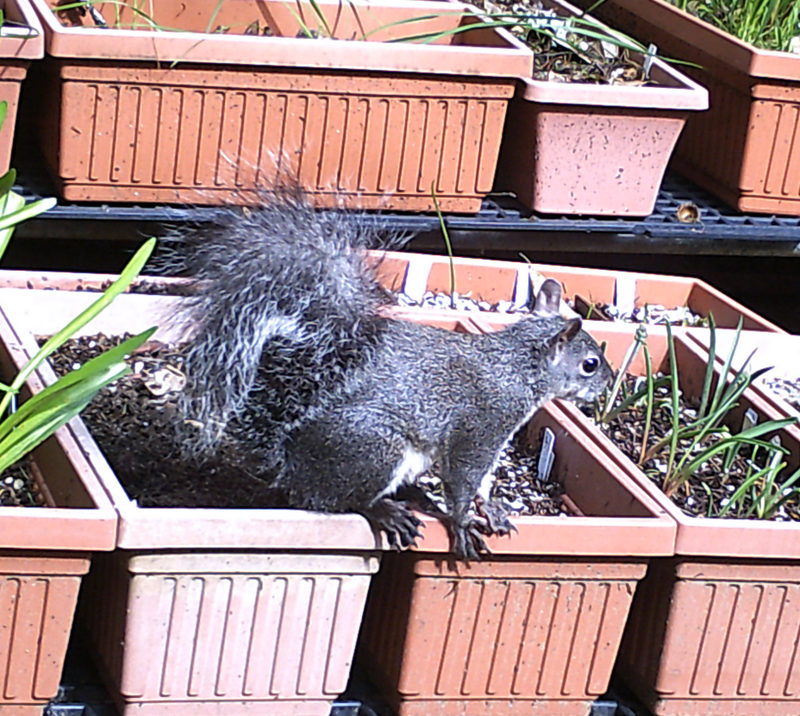 There must be some reason it is not just on the ground, but more, sitting on my planting troughs. I am suspicious.